The cult favorite is HIIT, perfected. You never forget your hardest workout. For me, it was Barry’s Bootcamp in Nashville three years ago. I hadn’t taken a workout class in months, and was dragged to the trendy studio in the Gulch by my sister in an effort to get back into shape after the holidays. It did not go well. I don’t remember much, but I’ll never forget the very particular kind of shame felt when an alarmingly good-looking instructor yells at you to try harder. After I survived the class, I bought a t-shirt (I could at least look like a Barry’s girl) and went home, vowing to never subject myself to such a high-intensity workout again. So this winter, when Barry’s Bootcamp finally came to Dallas, I had something to prove. I had changed my workout tune in the three years since that handsome man yelled at me. I regularly max out my monthly ClassPass subscription, booking everything from Pilates to TRX. I’d even worked my way up to being comfortable (and actually wanting to be) in the first row at SoulCycle. I secured a spot in Barry’s CEO Joey Gonzalez’s full-body class on the studio’s opening day, ready to prove how far I’d come. The West Village Studio (situated across the street from the equally well-known SoulCycle) defied expectations. Unlike the Nashville location or even SoulCycle, the space was massive (I was told the new layout will become their standard), with plenty of room to sign in and find a locker. The aesthetic is reminiscent of an industrial downtown loft. There are concrete floors, lofty ceilings, murals, and a massive neon sign. There’s even a “Fuel Bar” where you can place your order to pick up after class. (I went with “Green Latifah” and loved every sip.) The glorious restrooms are filled with subway tiles, fresh bouquets, and pricy Oribe products. 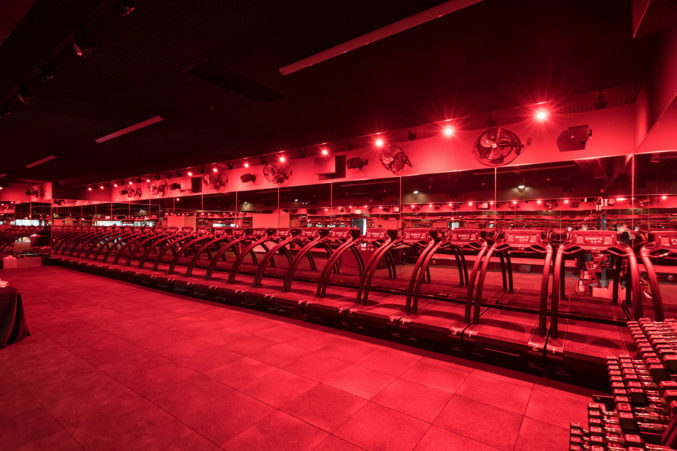 My anxieties surfaced as I made my way into the heavily mirrored and dimly lit “red room,” where a line of Woodway treadmills, platforms and hand weights lurked ominously. Among the attendees were Hayes from SoulCycle, Courtney Kerr, some woman from The Bachelor, and a slew of other influencers, instructors, and all-around fit people. The woman to my right told me she’d been an avid fan of Barry’s for decades, having just moved to Dallas from Los Angeles, where the company is headquartered. I told her it was my first class (it basically was), and she told me not to follow what she did because it would be too intense. Comforting! I’m not going to make this a post about my athletic ability, but, guys, I did alright! Thanks, ClassPass! In terms of the actual class, it actually reminded me of the first time I tried SoulCycle. Just like I’d taken spin classes before that studio finally came to Dallas, I’d also logged some time at high-intensity interval training studios such as Beyond500 and TreadBarre. Both Soul and Barry’s were the first of their kind, and proved why they’ve never truly been upended: they’re spinning and HIIT, perfected. Lockers in the communal area are slim, but there are plenty of additional ones in the men’s and women’s rooms. The treadmills’ touch pads feature numbers 1-12, so you don’t have to waste time tapping an up or down arrow to find the right pace. Start with lower numbers while you figure out which speeds work best for you though. It can take a while to ramp up, and an impatient person (me) might overestimate how high the number should be while it does. 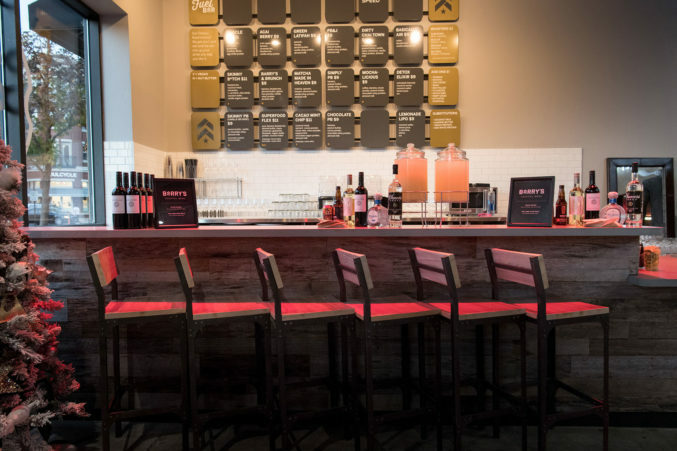 Truth be told, the workout at Barry’s isn’t dramatically different from a studio like Beyond500, but it earns its heftier price tag ($32 for a single class, as opposed to Beyond’s $25) with a sleek, luxe aesthetic, a party-like atmosphere, and an enviable post-class shower situation. You’re buying into the brand as much as you are the workout. The instructors are also top-notch; you’ll recognize local fitness favorites Michele Morris and former Beyond instructor Bryer Lappin. There’s an immediate sense of camaraderie that’s only found in the best studios, even if part of it comes from communal commiseration after a particularly grueling class. Maybe I drank too much of the Green Latifah Kool-Aid, but I’m already adding Barry’s Bootcamp to my short list of Dallas workouts that are cheaper than therapy.